This isn’t exactly like My Fair Lady (sorry, if you’re looking for that)! There are NO songs (plus or minus, depending on the viewer), it’s in B&W, and considered a more realistic version of George Bernard Shaw’s story (inspired by Greek myth of Pygmalion and Galatea). In contrast to Audrey Hepburn’s Eliza, Brit actress Wendy Hiller (who some of you may know from the beloved Canadian Anne of Avonlea mini-series) is more of a plain Jane, though tall and elegant in bearing (when she has to be). Leslie Howard’s Prof. Higgins is younger (a plus, IF you want to play up the romance angle) than Rex Harrison. His speech is less showy, more matter-of-fact, yet still cutting (esp. towards Eliza). Howard also co-directed this film (as I learned from TCM); he’s much more than Ashley from Gone with the Wind. Though his looks and usual style of acting are NOT my favorite, you have to respect a guy w/ such a long line of (mostly well-made) films. There are a few points in this film where my attention drifted (just being real- it’s a ’30s film after all). I think fans of this story (and classics in general) should give it a watch. Shaw was the first person to have won both the Academy Award and the Nobel Prize. The first British film to use the word “bloody” in its dialogue; this word was an expletive , so considered extremely vulgar. In the British version, Howard says “damn;” in the American one, he says “hang” or “confounded.” This was a year before David O. Selznick fought the Hays Office over permission for Clark Gable to say “Frankly, my dear, I don’t give a damn” at the end of Gone with the Wind (1939). The scene in which Eliza accidentally swallows a marble during an elocution lesson does not appear in the original play. 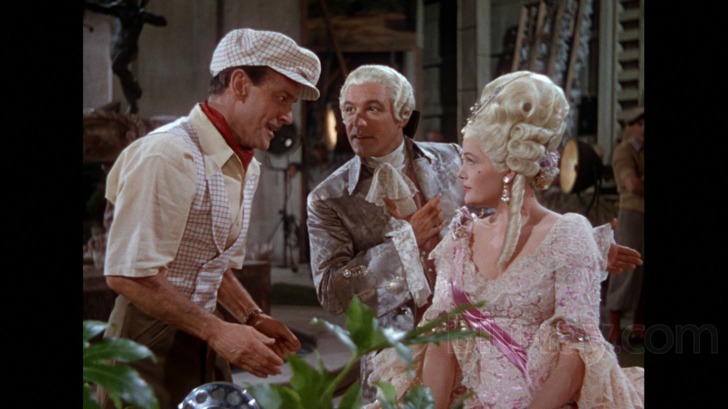 During rehearsals for this scene, a pained expression came over Hiller’s face; when she spat out the marbles she had in her mouth she said, “Leslie, I’ve swallowed one!” Howard replied: “Never mind, there are plenty more.” This caused such amusement among the crew that it was added to the film, then later to its musical version, My Fair Lady. This is a film I’d NEVER heard of, BUT was curious to see (since it has both Hepburn and Mitchum). 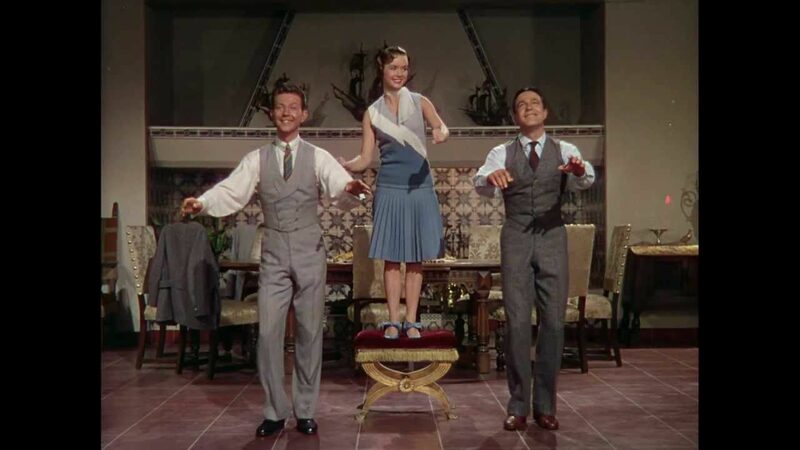 It was shown on TCM last week and is directed by the famed Vincente Minnelli (husband of Judy Garland and father to Liza). Minnelli does a VERY good job w/ a domestic drama mixed w/ film noir, which is NOT something you’d expect if you know his more well-known works (Meet Me in St. Louis, Father of the Bride, Gigi). He also directed The Bad and the Beautiful, which shows the dark side of Hollywood. Hepburn is cast against type here, which fans (like me) may enjoy, and even some haters will be pleasantly surprised to see. She plays Ann Hamilton, the quirky/single daughter of small-town professor, Dink (Edmund Gwenn from Miracle on 34th Street). Ann prefers playing w/ her dog and tinkering in her home chemistry lab, eschewing ideas of marriage pushed upon her by cranky housekeeper, Lucy (Marjorie Main) and eager academic, Prof. Bangs (Dan Tobin). Alan Garroway (Robert Taylor) chats with Ann Hamilton (Katharine Hepburn) at her home. Call it Film-Noir. Call it Mystery/Suspense. Call it Psychological Thriller. Call it what you may…I call it: absorbing drama. It moves very deliberately… and the facts are revealed one by one, in true mystery fashion, until the fantastic, thrilling ending. As others have noted, the plot has “Rebecca-esque” qualities, but a character completely its own. One night, Ann’s life is changed when she meets Alan Garroway (Robert Taylor), a suave/dapper inventor who was meeting w/ Dink. It turns out that his company helped win WWII w/ a cutting-edge missile guidance system. Ann is struck by him at first sight; it’s obvious that he is interested, too. Soon, they’re married and off to DC! Ann meets his (high society) friends, gets a new/stylish wardrobe, and learns that her new husband is more complicated than she thought. Her father (Edmundf Gwenn) looks on as Ann (Katharine Hepburn) receives roses. BOTH Taylor and Mitchum were younger than Hepburn. In Minnelli‘s autobiography, he says that Mitchum was very uncomfortable in the role of the sensitive Michael. Musicians Joe (Tony Curtis) and Jerry (Jack Lemmon) witness a mob hit in Chicago. When broke Chicago musicians, Joe (sax player) and Jerry (on bass), witness the St. Valentine’s Day massacre, they need to get away from the gangster responsible (Spats Colombo). They’re desperate to get a gig out of town, but the only job available is with an all-girl band heading to Florida. They show up at the train station as “brand new” girls-Josephine and Daphne. They really enjoy being around the troupe of young, pretty women (esp. Sugar Kane Kowalczyk, who sings/plays ukulele). Joe (a ladies man) sets out to woo Sugar. Jerry/Daphne is wooed by an eccentric/sweet millionaire, Osgood Fielding III. Mayhem ensues as the two pals try to keep their true identities hidden. Then Spats and his mafia men show up for a gathering with other crime bosses. Joe and Jerry (in drag) admire the walk of a real woman (played by Marilyn Monroe). This is one of my faves; if you need a laugh (or a dozen), definitely have a watch! I’ve seen the film several times on TCM; I also have it on DVD. Some Like It Hot was voted the 9th greatest film of all time by Entertainment Weekly magazine, and, is ranked on this list high enough to be the greatest comedy of all time. The costumes Monroe wears are simply stunning! One of the evening gowns is SO revealing that even modern viewers wondered (on Twitter) HOW it got past censors. When Curtis and Lemmon saw the costumes that would be created for Monroe, they wanted to have beautiful dresses, too. 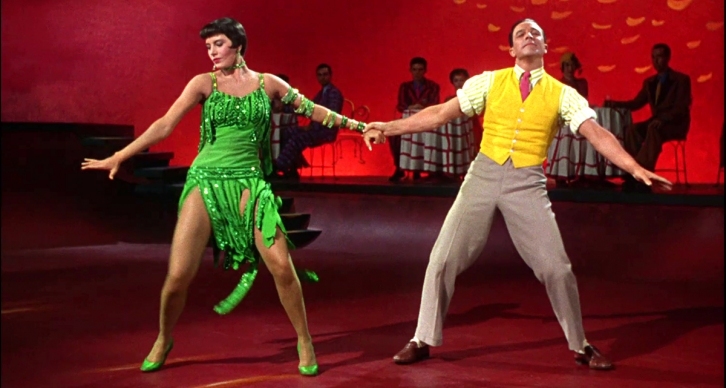 Monroe wanted the movie to be shot in color (her contract stipulated that all her films were to be in color), but Billy Wilder (the director/co-writer) convinced her to let it be shot in black and white after costume tests revealed that the makeup that Curtis and Lemmon wore gave their faces a green tinge. The co-leads, though opposites w/ regards to acting education and personal backgrounds, make a GREAT comedy team! Lemmon’s Jerry has nervous energy and is a fast-talker, while Curtis’ Joe is self-assured and able to charm others easily. However, its actually Jerry’s idea for them to disguise themselves as women! When the actors first put on the female make-up and costumes, they walked around the Goldwyn Studios lot to see if they could “pass” as women. Then they tried using mirrors in public ladies rooms to fix their makeup, and when none of the women using it complained, they knew they could be convincing as women. There is a scene on the train recreating this moment. Sugar Kane Kowalczyk (Marilyn Monroe) leans out of her bunk on the train. I recently learned that Wilder, the actors, and crew had a VERY tough time on this movie b/c of Monroe’s behavior. She was heavily into drugs during this time, so kept forgetting her lines, and MANY takes had to be shot before she got even the simplest lines correct. 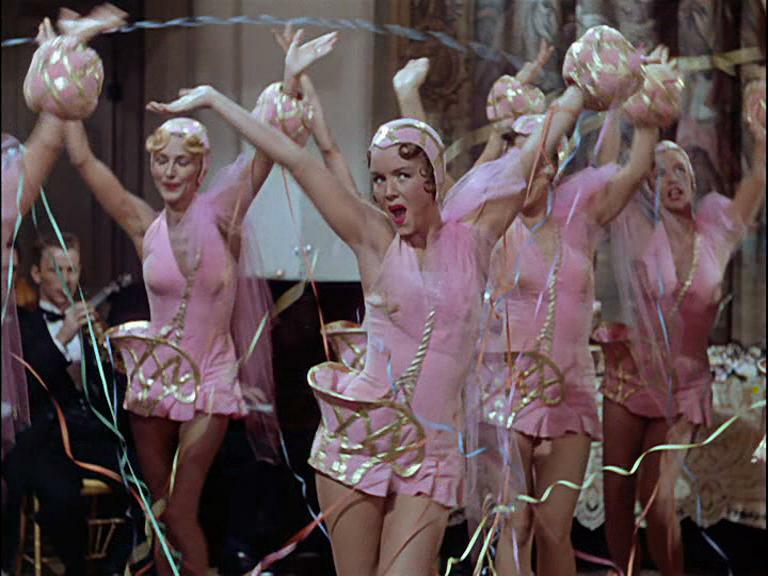 There is something meta about Monroe’s performance as Sugar, who smuggles in alcohol (though she claims she can stop drinking anytime) and laments her pattern of falling for the wrong kind of men (particularly sax players). Lemmon got along with Monroe and forgave her eccentricities. He believed she simply couldn’t go in front of the camera until she was absolutely ready. “She knew she was limited and goddamned well knew what was right for Marilyn,” he said. “She wasn’t about to do anything else.” He also said that although Monroe may not have been the greatest actor or singer or comedienne, she used more of her talent, brought more of her gifts to the screen than anyone he ever knew. There is a party going on, but Daphne (Lemmon) wants to be alone with Sugar (Monroe). One of the MOST hilarious scenes in the film involves Jerry/Daphne and Sugar in Daphne’s bunk. Jerry is SO excited about Sugar sidling up to him, but she sees him as Daphne. The expressions on Lemmon’s face are just priceless! They are soon interrupted by almost all of the other girls, who want to join in the fun. Jerry Lewis was offered the role of Jerry/Daphne but declined because he didn’t want to dress in drag. Lemmon received an Oscar nomination for the role (well-deserved). Joe/Shell Oil Jr. (Curtis) and Sugar (Monroe) embrace after their date on the yacht. While Shell Oil Jr. and Sugar were making out on the yacht, Daphne and Osgood were dancing tango at a Cuban nightclub. They danced VERY well, too! The music used in the film contributes to its atmosphere; portions of the following tunes were used: Sweet Georgia Brown, By the Beautiful Sea, Randolph Street Rag, La Cumparsita and Park Avenue Fantasy (AKA Stairway to the Sky). “Nobody’s perfect!” Osgood declares upon seeing that Daphne is a man. Lemmon really steals the movie here. He invests Daphne with such enthusiasm that we can understand why he’s falling for Osgood. He’s having way too much fun and it’s great to watch him. Why a would man would want to marry another man? asks Tony Curtis. Security! Jack Lemmon replies without missing a beat. Clearly, he had put the question to himself before and had arrived to a perfectly sensible conclusion. Bonnie Parker (Faye Dunaway) and Clyde Barrow (Warren Beatty) on the run! Synopsis: In 1934, Bonnie Parker, a waitress, and Clyde Barrow, a criminal, just released from prison, are immediately attracted to what the other represents for their life when they meet by chance in West Dallas, Texas. Bonnie is fascinated with Clyde’s criminal past, his bravado in talking about it, and the power of his gun. Clyde sees in Bonnie someone who wanted more out of life- like himself. They decide to join forces to embark on a life of crime (mainly robbing banks) to make fast money and have fun. Their small gang of willing accomplices includes C.W. Moss (a mechanic) and Buck Barrow, one of Clyde’s older brothers. Buck’s wife, a former preacher’s daughter, reluctantly joins in, but then becomes hysterical when faced w/ danger. To modern eyes, this movie is rather tame, BUT in it’s day, it caused quite a stir! In a TV interview, director Arthur Penn pointed out that this film shows for the first time the firing of a gun and the consequences in ONE single frame. Before that, you’d see a gun being fired, then cut, and the next scene would show the bleeding body. This was the first film to use squibs (which were embedded in costumes and wired to a central control that made them explode in sequence to create the illusion of being shot). Leading man Warren Beatty (who was at the top of his profession then) wanted his then-girlfriend, Natalie Wood, for the role of Bonnie. However, SHE refused in order to be able to meet daily w/ her therapist. Producers auditioned a LOT of young actresses (incl. Jane Fonda) for the role of Bonnie; at first, they thought Faye Dunaway was not “hot.” But then Beatty screen-tested w/ her and was convinced that she was the BEST one for the role. Warner Bros. thought it would be a flop, BUT it was a hit! Roger Ebert had ONLY been a film critic for 6 mos. when he saw this film and hailed it as the first masterpiece he had seen on the job. ONE of the reasons why the film was so successful was because of its anti-establishment stance; people were becoming disillusioned with America’s involvement in Vietnam at this time. Young Estelle Parsons (Roseanne’s mom in the ABC sitcom) plays Buck’s wife. There is SOME humor in this film, too, thanks in part to Gene Wilder (in his debut)! He plays Eugene, a wealthy Romeo who is robbed of his shiny new car while making out w/ his girlfriend, Velma, on the porch. Eventually, the couple end up in Eugene’s car WITH the robbers! When Bonnie asks Velma how old she is, she quickly responds with “33.” Eugene is silent and looks shocked (so she MUST have lied about it before)- LOL! The mix of comic scenes with scenes of violence, intense drama and that weird, beautiful family reunion scene. The realistic (for the time) portrayal of violence, with blood and moans and pain. The frank sensuality (for its time). The likeability (some would say glorification) of criminals (we are sad when they die). The unlikeability of the sheriff (who, in prior years, would have been the hero). The portrayal of an unconventional “family” who live together and mostly love each other, reflecting the ’60s hippie ethos. The use of period music (the bluegrass) rather than all orchestral scoring. The pointed social commentary (the Depression-era dispossessed, the poor farmer shooting at the bank sign and his foreclosed home, portrayal of the Establishment as villains).